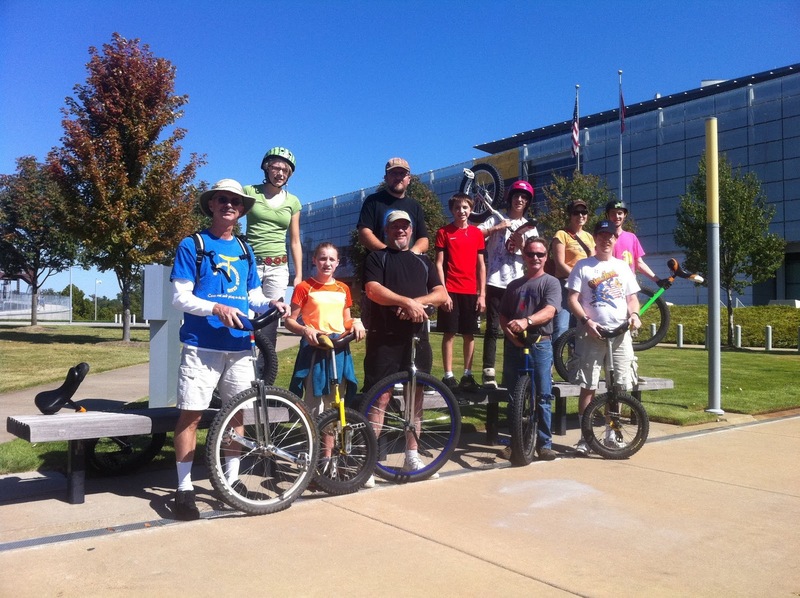 Four riders from the Memphis Unicycle Club joined us for a playdate in Little Rock. 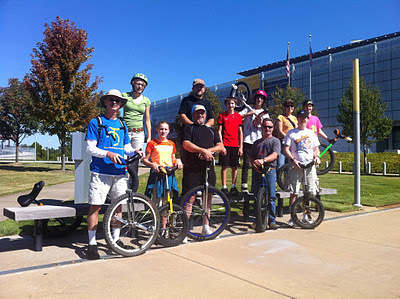 We rode the Clinton Park bridge and played near the Clinton Library before heading to the Rivermarket for lunch. From there we went to the Junction Bridge and the Peabody Park for a little trials riding. The good riders had fun jumping on rocks (and over Mandy) and the bad-rider group had fun watching. We made a trip to the North Little Rock skateboard park, then ate supper at Vino's before heading west again to ride across the Big Dam Bridge and the Two Rivers Bridge. Woodrow and Pete didn't head back to Memphis until after ten. Thanks for coming to play, guys! We had tons of fun, and we hope you'll come back soon.